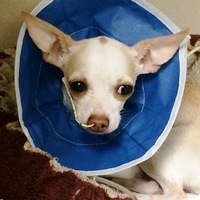 Ladan Mohammad-Zadeh, DVM, DACVECC, explains the cause, diagnosis, and treatment options for gastric ulcers in dogs and cats. Gastroduodenal ulceration is a common pathology in people with numerous etiologies. There are a few different classifications of gastroduodenal ulcers in people. 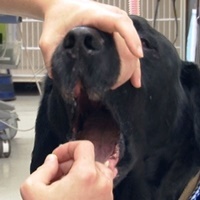 They are based on differentiating the location and/or cause of the ulcer. The locations include gastroesophageal, gastric (single or multiple lesions), gastroduodenal and duodenal. Peptic ulcer is a general term used to describe an ulcer located in the stomach or proximal duodenum. There are many etiologies but they all predispose to ulceration through two mechanisms; disruption of the gastrointestinal mucosal barrier and alteration of acid secretion. Acid is produced by H+/K+­ ATPase enzymes in the parietal cells of the gastric mucosa. Hydrogen ions (H+) are transported into the lumen of the stomach in exchange for K+. Stimulation and secretion of H+ is regulated by a combination of neural input and hormonal activation. Neural input starts with the sensations of taste and smell that stimulates vagal efferents. Gastric distention further stimulates vagal efferents and afferents that results in acetylcholine release, one of the hormones responsible for acid secretion. Other hormones that stimulate acid secretion include cholecystokinin, gastrin and histamine. It is important that the environment in the gastric lumen achieve a pH of 1.5 – 3.5, as pepsinogen can only be converted to pepsin, a highly potent protein digestive enzyme, at a pH below 5.0. The gastric mucosa is able to protect itself against the erosive effects of the acidic environment by bathing itself in a highly alkaline mucous. The maintenance of this protective layer depends on factors such as blood flow to the gastric epithelium, mucous production by specialized cells that also allow alkaline trapping, high epithelial cell turnover and prostaglandin regulation. Specifically, Prostaglandin E2 inhibits acid secretion and promotes the mucous layer. Now that we better understand the many factors involved in maintaining the gastric lumen pH and the mucosal barrier, we can examine the risk factors for gastrointestinal ulcers. Altered blood flow is a significant risk factor for mucosal barrier disruption. Conditions that result in altered blood flow include shock, spinal cord injury, sepsis and surgery. Decreased blood flow affects the amount of bicarbonate available for alkaline trapping and also affects the rate of cellular turnover. Physical disruption of the mucosal barrier via physical or chemical injury is also possible. Tumors of the gastrointestinal wall can also cause physical injury to the mucosa and can result in a weakened mucosal barrier. Gastrinomas are particularly bad as they also secrete hormones that stimulate acid secretion. 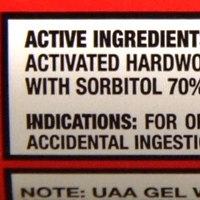 It has long been recognized that NSAID administration is a major risk factor for gastrointestinal ulcers. They primarily exert their anti-inflammatory effect by blocking the cyclooxygenase enzymes (COX-1 and COX-2) that are involved in the formation of prostaglandins. Many NSAIDs non-selectively inhibit both COX isoforms. With the discovery that COX-1 is the “good COX” that is responsible for helping to maintain the gastrointestinal mucosal barrier, there was development and marketing of COX-2 selective NSAIDs. It has become clear over the years that any NSAID, COX selective or not, has the potential to cause gastrointestinal ulcers. There are published or suggested GI toxic doses of the most commonly used NSAIDs in veterinary patients, however many of us have had experiences where even standard therapeutic doses have resulted in devastating GI side effects in a select few patients. Corticosteroids alone are not thought to be ulcerogenic. However when used in combination with NSAIDs or alone in a patient who has one of the previously mentioned risk factors, even anti-inflammatory doses can be damaging to the GI mucosa. Dexamethasone has higher ulcerogenic potential compared to prednisone or prednisolone. Metabolic disease such as renal failure and hepatic failure are also suspected as minor causes of gastrointestinal ulcers in veterinary patients. Severe renal failure can cause several effects that may predispose to ulceration. Decreased appetite and nausea can affect the cellular turnover rate as well as affect the health of mucosal cells. Uremia causes vasculitis and microthrombosis, which results in mucosal death both in the mouth (uremic stomatitis) and likely the gastrointestinal tract as well. The kidney and liver both play a role in the metabolism of gastrin, thus decreased function of either of these organs will lead to higher gastrin levels, predisposing the patient to increased gastric acid secretion. The definition of a true ulcer is a lesion that penetrates the mucosa to the depth of the muscularis mucosa, which increases the risk of bleeding and perforation. A definitive diagnosis of this type of true ulcer is not always obtained in veterinary patients and we often make a diagnosis based on clinical signs. Clinical signs of non-bleeding ulcers/erosions are generally non-specific and include anorexia, vomiting and abdominal pain. The appearance of blood in vomit could indicate gastritis or a true bleeding ulcer. However, the appearance of melena is a stronger clinical sign that is suggestive of a true ulcer. Bloodwork may be helpful in ruling in or out metabolic disease and may also indicate chronic anemia. Electrolyte disturbances are common in vomiting patients and are more useful to identify for treatment purposes. Radiographs are helpful in ruling out surgical causes for GI symptoms but are insensitive for evaluating gastric wall thickness. Intramural gas is an abnormality you may see on radiographs if there is a larger necrotic region of the gastric wall. Free peritoneal air may also be seen on plain films in the instance of perforation. Barium also has a low sensitivity in the detection of gastrointestinal ulcers. Abdominal ultrasound has variable utility in identifying gastric ulcers. It may easily identify an infiltrative gastrointestinal tumor. But finding more subtle lesions is often times operator dependent. Other factors include the severity of the lesion and the size of the patient. The bottom line is that a negative ultrasound does not rule out gastrointestinal ulcers. Endoscopy is the method of choice for diagnosis of gastric ulcers although it is not a visual diagnosis as one would expect. Erosive areas may be evident, but without biopsies, one can only conclude that these are erosions and not necessarily true ulcers. Determining whether a lesion is a true ulcer may not be necessary. A clinician would likely institute similar therapy for visually identified erosions in a patient who has gastrointestinal symptoms or predisposing factors. However a complete diagnosis can be achieved by obtaining biopsies at multiple sites around the stomach and duodenum, taking care to biopsy at the edge of larger lesions. The center of larger erosions may be necrotic and non-diagnostic. Care should be taken when making the decision to biopsy ulcers and the risks for perforation during biopsy sampling should be discussed with the client. Treatment of gastrointestinal ulcers is a three-pronged approach. First is the identification of the cause or management of underlying disease. Second is the administration of gastric supportive medications. Lastly is acid suppression. Identification of the cause may be as simple as a history of NSAID administration or concurrent therapy with steroids. A more complicated situation may be a renal failure patient who could have GI symptoms for reasons other than ulceration. Ulcerations may also be under-recognized in shock patients, where ulcers may not develop until days after shock is resolved. Many of these patients benefit from fluid therapy, whether it is for volume replacement or to facilitate metabolism of ulcerogenic drugs. Fluid therapy has the added benefit of helping to restore the gastric mucosal barrier. There are a limited number of medications that work directly to help restore the gastric mucosal barrier. Sucralfate is a sucrose sulfate aluminum complex that binds to denuded mucosa and provides a protective barrier against acid. Sucralfate does not bind to non-ulcerated mucosa, however, since it is an extremely safe medication, it is very commonly prescribed for patients with general symptoms of gastritis. It can affect absorption of other orally administered medications, thus should be separated from other medications by 2 hours. Misoprostol is a prostaglandin analog that helps promote the mucosal barrier. It is indicated for use in the prevention of NSAID induced ulcers and efficacy may be questionable once ulceration has already occurred. Unlike sucralfate, misoprostol does have common side effects including diarrhea and abdominal cramping. Gastric acid suppression is the cornerstone of ulcer therapy. All other supportive therapies will be rendered less effective unless gastric acid is suppressed. The two most common classes of drugs to achieve this task are histamine-2 receptor antagonists (H2 blockers) and H+/K+ ATPase inhibitors (proton pump inhibitors). H2 blockers competitively inhibit the histamine receptor on the parietal cells. H2 blockers available in the US include cimetidine (Tagamet®), ranitidine (Zantac®), famotidine (Pepcid®) and nizatidine (Axid®). 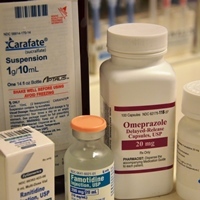 All of these drugs are available in the oral and parenteral forms. 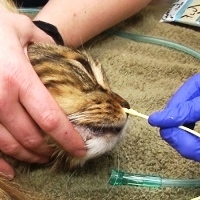 Famotidine is usually the go-to H2 blocker for veterinary patients. Cimetidine has the complication of being a cytochrome p450 inhibitor, and concurrent use with some medications may alter drug metabolism. Ranitidine has an added benefit of theoretically having a prokinetic effect, however some studies suggest that at 2mg/kg q 12 hrs, ranitidine may have inferior acid blocking compared to famotidine (0.5mg/kg q 12 hr). H2 blockers are, by in large, safe drugs to use, however there is a rebound in acid secretion after abruptly stopping this medication reported in humans. It is uncertain whether this is clinically relevant in our veterinary patients. Proton pump inhibitors are considered to be much more effective at suppressing acid secretion in humans and veterinary patients. Omeprazole (Prilosec®) is an oral medication and pantoprazole (Protonix®) is a parenteral formulation. Each have similar dosing at 1 mg/kg q 24 hours. The biggest drawback is the lag time to clinical acid secretion, which is 3-5 days in people, but may be as fast as 2 days in dogs. There is also reported to be an acid rebound in people when the medication is stopped, but the effect is not considered clinically relevant. Some clinicians follow the strategy of starting both an H2 blocker and proton pump inhibitor, and after 2-3 days discontinue the H2 blocker. Most ulcers that are diagnosed in our veterinary patients are most likely erosions and not true ulcers. However, true ulcers and bleeding ulcers do exist in dogs and cats. They can occur secondary to NSAIDs and/or steroids, metabolic disease, foreign bodies and tumors of the GI tract. The degree of bleeding associated with these ulcers ranges from minor, chronic bleeding to acute, severe GI hemorrhage. Abdominal ultrasound and endoscopy are warranted to investigate the cause and extent of the ulcer. The patient’s clinical appearance usually reflects their degree of anemia and/or shock. Along with the previously mentioned therapies, blood transfusion may be required based on the patient’s clinical signs. Medical management is generally successful in the absence of tumor or GI perforation. Surgery may be indicated in instances of chronic or severe recurrent bleeding, foreign bodies or tumor but is usually not the first-line management strategy for a non-perforated bleeding ulcer. There is no magic bullet for treating gastrointestinal ulcers. A combination of treating underlying conditions, GI supportive medication and time is the mainstay of therapy. Prognosis depends upon the cause and response to therapy. In general, simple ulcers and erosions have a very good prognosis. Prognosis worsens when there is a chronic condition such as renal failure or when there is GI perforation. Even bleeding ulcers can have a good prognosis if they are not associated with a mass or perforation. Parrah JD et al Gastric ulceration in dog: A review Vet World. July 2013;6(7):449-454. Neiger, R. (2009). Gastric Ulceration. CVT XIV. Pp. 497-501. St Louis MO. Bonagura, JD. Twedt, DC. Stanton ME, Bright RM: Gastroduodenal ulceration in dogs: restrospective study of 43 cases and literature review, J Vet Intern Med 3:238, 1989.